An Irish aviation expert said there would be "alarm bells ringing" at Boeing after the same model of plane was involved in two fatal crashes within a six-month period. The Ethiopian Airlines tragedy comes six months after another plane crash in October in which 189 people died when a Lion Air 737 MAX plane - the same model as the plane in Ethiopia - crashed into the sea off Jakarta, Indonesia. Former pilot Fintan Ryan said Boeing would be concerned about the similarity between the two crashes. The periods in which a plane is most likely to falter are at the beginning and end of its life, but he said he had never seen two planes of the same model crash so soon after their introduction. "[The 737 MAX 8] is a brand new airplane and it's the same type as Lion Air. "This was six minutes after take-off, the Lion Air crash happened six minutes into the flight. "The flight details weren't as erratic as the Lion Air one, it happened in the same phase of flight so there will be alarm bells ringing." Mr Ryan said that the Lion Air crash was as a result of the runaway stabiliser faltering. The problem, he said, could have been solved by switching off two switches next to the throttle and depowering the stabilisers. Mr Ryan said that given the similarities in the data currently known from the Ethiopian Airlines crash, there was a strong possibility that the mistake was repeated. "It crashed on land so they will have the flight data recorder and the voice recorder fairly soon so they will be able to check out what happened fairly quickly." Boeing refused to comment on whether there would be an investigation into the model or if any planes will be recalled. 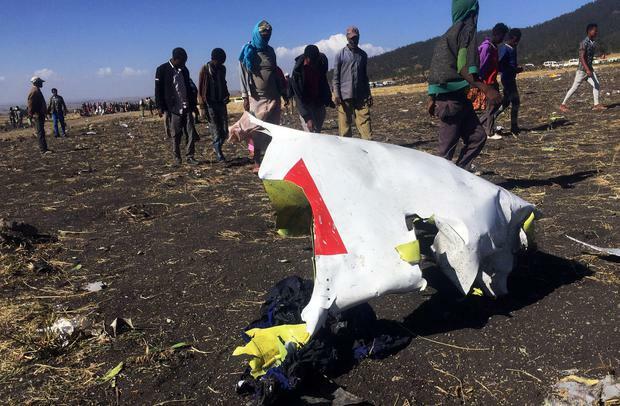 However, a spokesperson for the aerospace company told the Irish Independent that it is prepared to send a technical team to help with the Ethiopian airline crash.